I have a pair of very secretive hooded orioles that live in my phoenix reclinata palm hybrid. 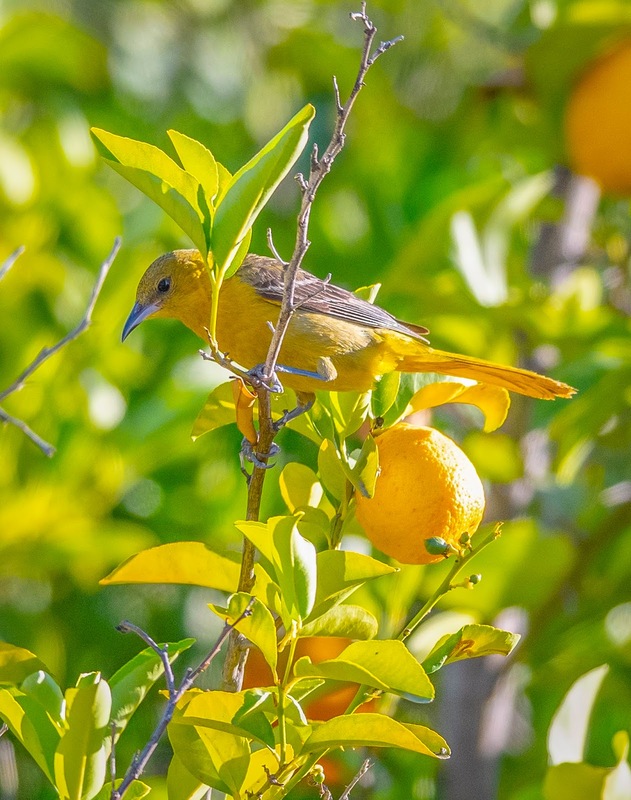 I got a shot of them both yesterday on the tops of a valencia orange tree. The male looks like he has a small injury behind his left eye. 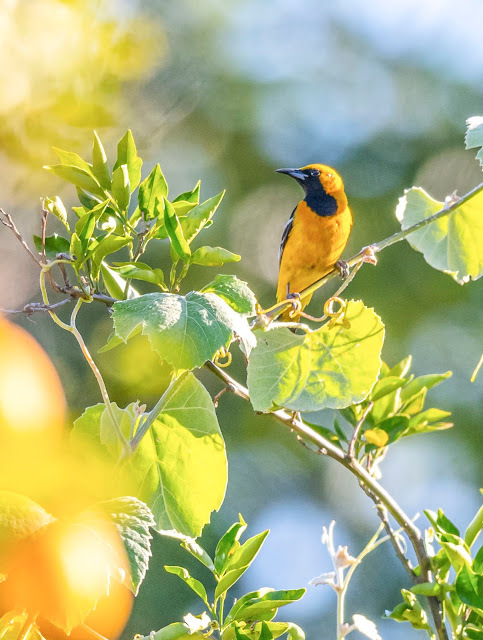 The hooded orioles are a bit particular about their diet, they will not eat from the feeders. They prefer insects and berries as well as oranges. Always makes me happy to see them in the yard. We have hooded orioles that eat from our hummingbird feeder. They are fond of draining the thing much more quickly than the hummingbirds can.